The Ford EXPLORER was the first mid-size SUV to the marketplace and has been a market leader ever since. 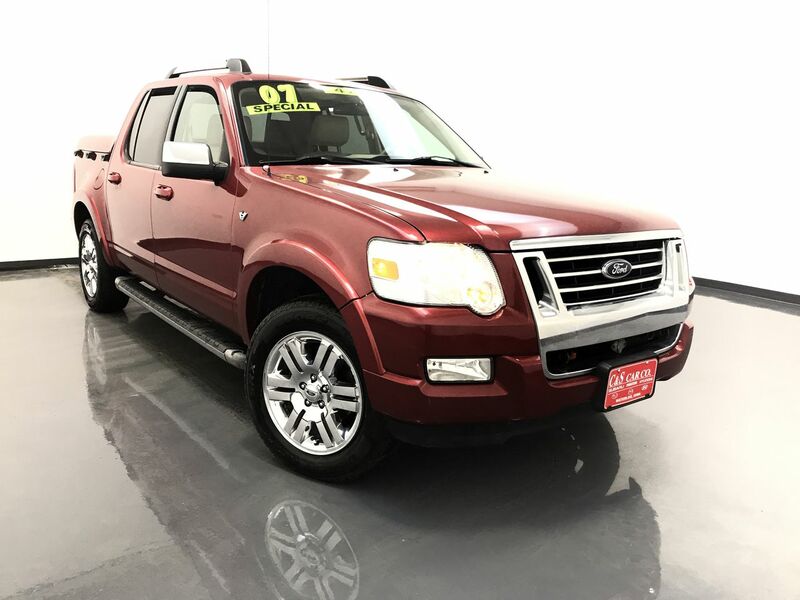 This 4x4 EXPLORER SPORT-TRAC is half truck/half SUV, with a leather interior, heated front seats, a power driver's seat, keyless entry, an AM/FM/CD sound system, a sunroof, and back up sensors. The exterior features chrome 18" alloy wheels with Cooper tires, an A.R.E. hard tonneau cover, and a 2" receiver hitch. Call C & S Car toll free at 866-212-8718 or locally at 319-291-7321.